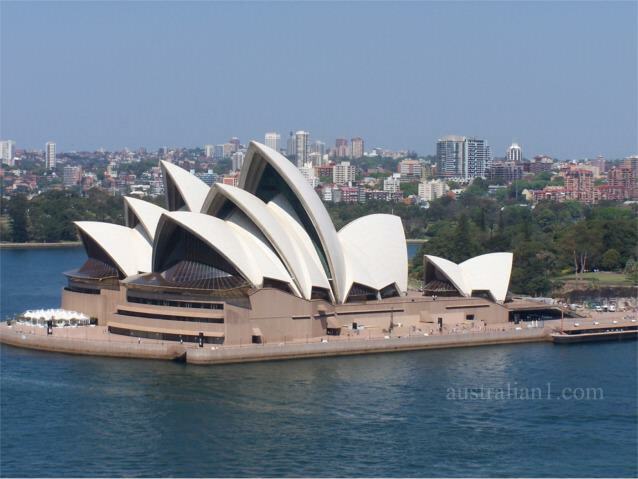 This is a photograph of the Sydney Opera House taken from the Sydney Harbour Bridge. This image is protected by copyright. It may not be copied for use elsewhere.